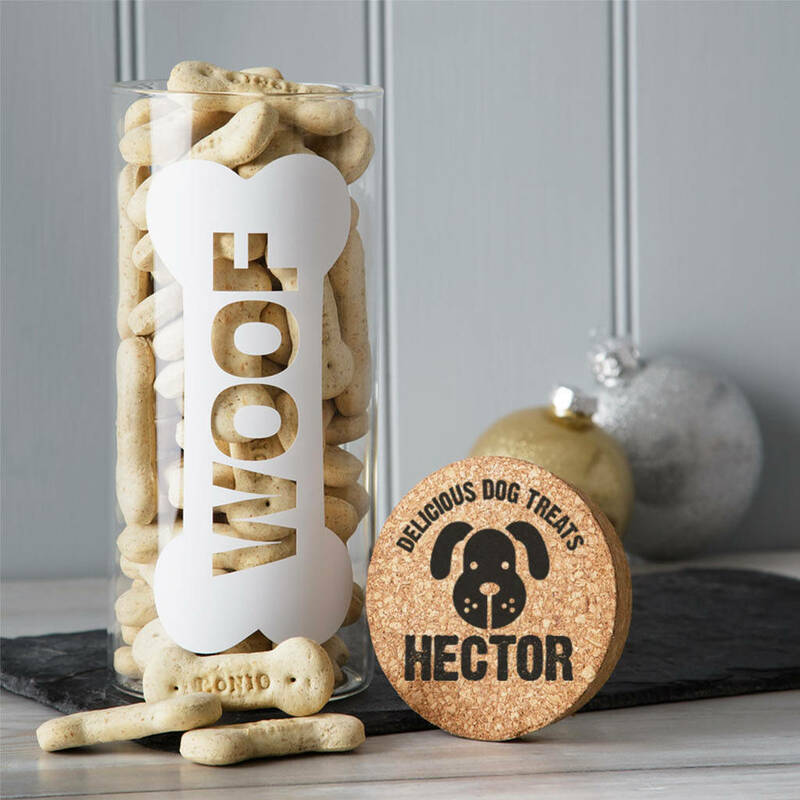 A fabulous glass jar filled with Bonio dog treats and topped with a personalised cork lid. 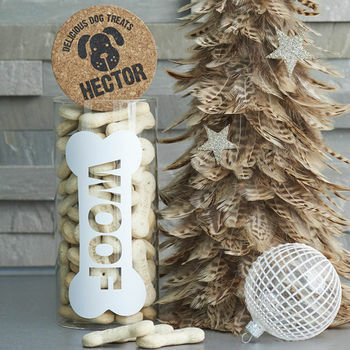 It's the present your dog has been waiting for! 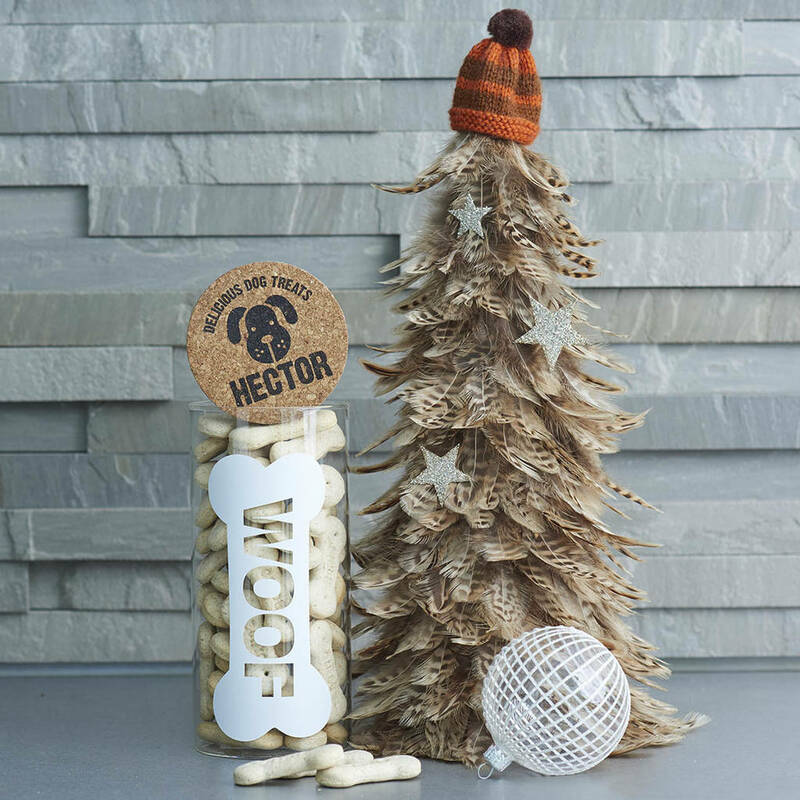 Our personalised dog treats jar is filled with delicious Bonio treats that your dog will love, and it's good for them as they're rich in Calcium and Vitamin D.
We also personalise the cork top of the jar by printing your dog's name alongside our own exclusive design. The high quality print will never fade and is completely waterproof. The outside of the jar is decorated with an exclusive WOOF design in white vinyl - it's sure to look good wherever you place it!